A very busy few weeks. When people ask us about what comics we're currently enjoying we usually look a bit embarrassed and mumble something about "not having much time" or some such. The truth is, we don't read a hell of a lot of new stuff or, more accurately, we don't read it while it's still new; we're pretty relaxed when it comes to getting our hands on comics. However, one man who tries his best to keep us up to date is Mike McLean, proprietor of Asylum Books and Games up in Aberdeen. Disappointed at our lack of commitment to the medium, Mike occasionally sends us big fat boxes of comics and today was one of those days where the postman wakes me up with such a parcel. 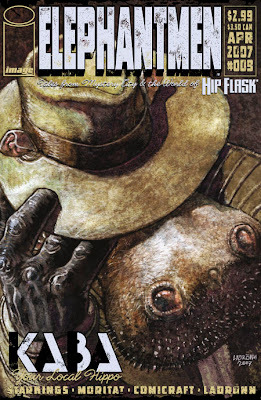 The latest two issues of Elephantmen were in there (which we are both big fans of) as well as tonnes of zombie comics; some good, many terrible and at least one that was so very terrible it was almost back to being good. 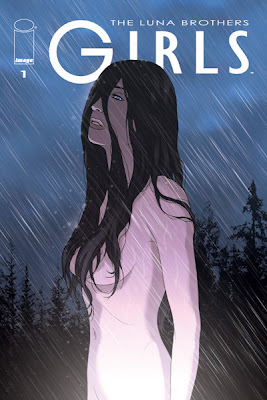 "Your Round, the new pub story anthology comic book series from Olive Press Comics is now available to buy. 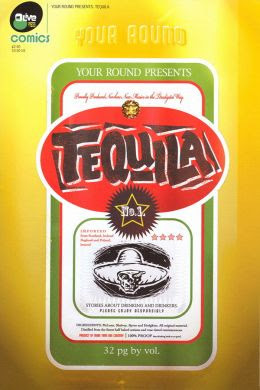 The first issue, Tequila, features the talent of Declan Shalvey (Hero Killers), Bob Byrne (2000AD) and James Hodgkins (Batman/Aliens)." Declan actually illustrates a story from Mister McLean himself (sometimes known as Tequila Mike, and for good reason). This is a very cool comic (probably our favorite from the lot); drunken pub stories in comic book form is really a genius concept. You can order the book for £2.50 >>HERE<<. So, cheers Mike and, if you looking for a good online comic shop (or if you happen to be in Aberdeen) we recommend you pay a visit to Asylum Books and Games . Other comics we've managed to get our mitts on recently and have enjoyed include all four books of the Luna Brothers' Girls. (actually, I still need to read 3 and 4 but 1 and 2 are brilliant!). 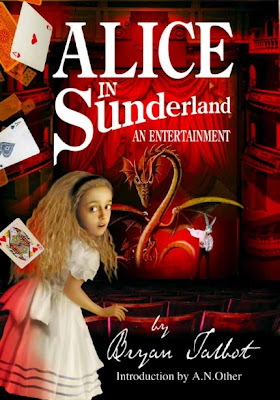 And Bryan Talbot's Alice in Sunderland which is truly wonderful.